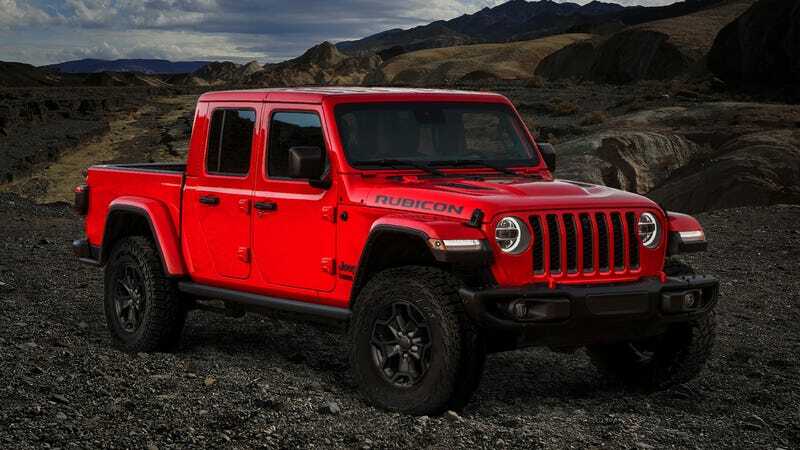 Pricing for the 2020 Jeep Gladiator came out last month, with nearly $30,000 between its base trim and its most expensive—the $62,310 Gladiator Launch Edition. But if you thought that price would scare people away from going big, you’d be wrong. All 4,190 examples of the Launch Edition sold out in a day. That’s according to Fiat Chrysler, which announced that no Launch Edition Gladiators were left on Friday. They all sold out during the one-day preorder period on the truck, which FCA held on April 4. The 285-horsepower, Pentastar V6 Gladiator, Jeep’s new pickup truck with Wrangler roots, debuted at the Los Angeles Auto Show last year as the first Jeep truck in nearly three decades. It’s on the way to dealerships soon with pricing for each trim, along with a first-drive review from our resident Jeep expert David Tracy to tell you that yes, the Gladiator lives up to the hype. The Gladiator comes in four trims—the Sport, which starts at $35,040, the $38,240 Sport S, the $41,890 Overland and the $45,040 Rubicon. The $62,000 Launch Edition that’s now sold out is the fanciest Gladiator of them all, with either a six-speed manual transmission or an optional eight-speed automatic. But, of course, that opportunity is gone for anyone who didn’t pencil April 4 into their calendar for committing to a $62,000 purchase. Cheer up, though: You could always Sharpie ambiguous numbers on the back of your truck, or just wait a few years until one is on the used market. What Do You Want to Know About the 2019 Toyota RAV4?